A LECTURE on a Tralee man who died during World War 1 will take place in Tralee Library during Culture Night next Friday. One hundred years ago this September, 22-year-old Denis Baily from Tralee won the Military Cross for his bravery during the Battle of the Somme. He was among thousands of young men from Irish nationalist and Catholic families who lost their lives in the First World War. 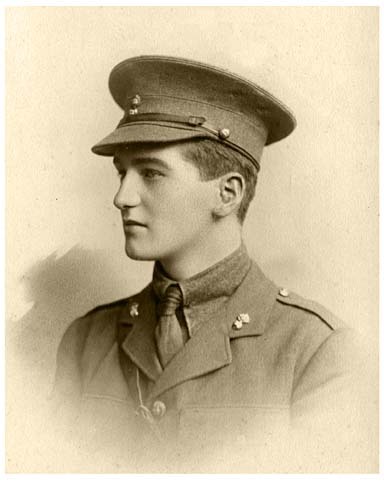 Serving as an officer in the locally-recruited Royal Munster Fusiliers, he commanded men from his home town and county. Their letters published in the local newspapers brought Baily’s many acts of bravery at the front to public attention leading to him becoming the source of local pride in his native Tralee. To tie in with the theme of Culture Night, the lecture will discuss how Denis Baily’s background as an Irish nationalist and Catholic influenced his character as an officer and inspired the bravery for which he became renowned. The lecture which will take place at Tralee Library which is open for Culture Night will begin at 7.00 pm and all are invited to attend. Elsewhere for Culture Night at Kerry libraries, Killarney Library will host an ‘open mic session’ with Máire Holmes, writer in residence at 6.00 pm while Caherciveen Library will host Barr na Sráide Comhaltas for a music session at 6.30 pm. All are welcome to attend and events are free.